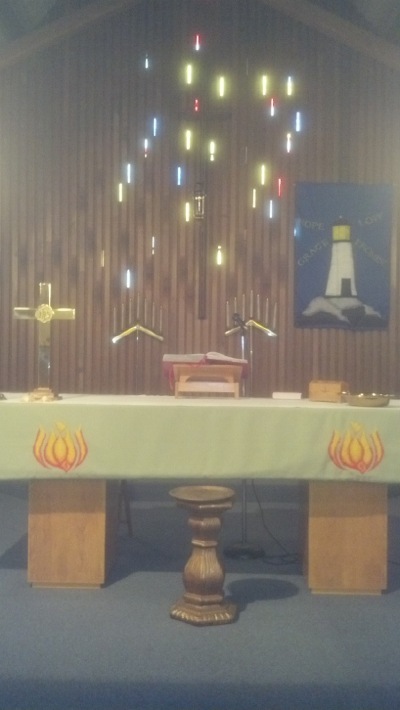 Welcome to Luther Memorial Lutheran Church ~ A Beacon of Hope and Promise, bringing Joy and Love to Everyone who is open to God's Grace! Luther Memorial is a small Christ centered and loving congregation of the Evangelical Lutheran Church in America, where all are truly welcome. Regardless of where you are on your faith journey or where the road of life has taken you, you will find a warm welcome at Luther Memorial. There is a place for you at the table. At Luther Memorial we worship, share, play, and serve in a spirit of hospitality, grace and love! Worship is full of Spirit at Luther Memorial. Every Sunday we gather to hear the Word and receive the means of grace through the sacrament of Holy Communion. Accompanied by accordion and keyboard our worship is Spirit filled and lively. Singing everything from old traditional hymns to contemporary music, our spirits are uplifted in praise and thanksgiving! Because of Jesus' love, we are freed to serve our neighbors in love. Find out what Jesus' death and resurrection means for the world. Regardless of age, race, or status in life, members of Luther Memorial Lutheran Church are here to welcome you.